Spark Marketing Entertainment signed an exclusive deal with III Millennio in Rome, Italy for the world excluding Italy, Mexico, Poland, the Vatican and the Caribbean. 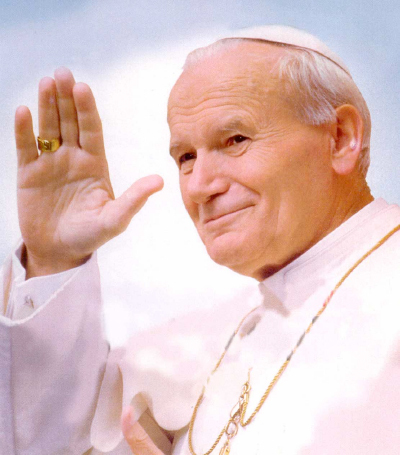 The deal included 110 poems that Karol Wojtyla wrote before the start of his Pontificate as Pope John Paul II on October 16, 1978. Spark was looking to market the poems by producing audio books, finding mobile phone partners and establishing contact with artists who would consider using the poems as lyrics in their songs. A pre-selection of the poems was made by III Millennio and Spark. These poems came with information on when and why they were written by Karol Wojtyla. They were available in English, French, German, Italian, Spanish, Polish and Portuguese. Spark researched licensees for individual markets, and the Italian market saw the successful release of an audio book with the poems. Italian acting legends Vittorio Gassman, Monica Vitti, Claudia Cardinale and Alberto Sordi all agreed to read the poems by Karol Wojtyla.